Jinjer has often been hailed as the Ukraine’s greatest metal export. Whether they are in fact the best band the country has gifted the metal world with is subjective, but they are certainly its most ambitious and dynamic. The Horlivka-based quartet has already achieved numerous awards in its home country including the Best Ukrainian Metal Act Award in 2013 and 2016. The band formed in 2009 by guitarist Dmitriy Oksen, with guitarist Roman Ibramkhalilov and vocalist Tatiana Shmailyuk joining in 2010. Bassist Eugene Abdiukhanov came on board the following year, and after a rotating set of drummers, they added Vladislav Ulasevich in 2016. Interestingly, none of the current members of Jinjer are from the original incarnation of the band, and Shamailyuk had initially joined only as a temporary favor to friends. Ibramkhalilov’s addition changed the face of the band, and Tatiana chose to remain on board. Founder Dmitriy Oksen retired from the band in 2015. Jinjer launched its recording career with the internet only EP Inhale. Do Not Breathe, which would be re-issued in 2012 as a full-length album. 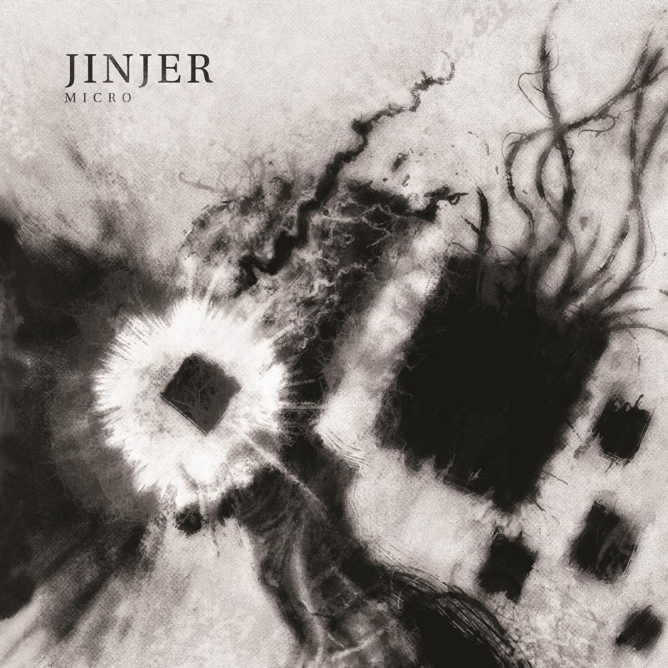 While the band’s early sound had a grounding in metalcore elements, by the time of 2014’s breakout album, Cloud Factory, Jinjer had developed more groove metal elements and a notably progressive writing style. The music industry and metal fans across the globe began to pick up on the buzz. As impressive as the band’s music is, their live performances were what won people over. 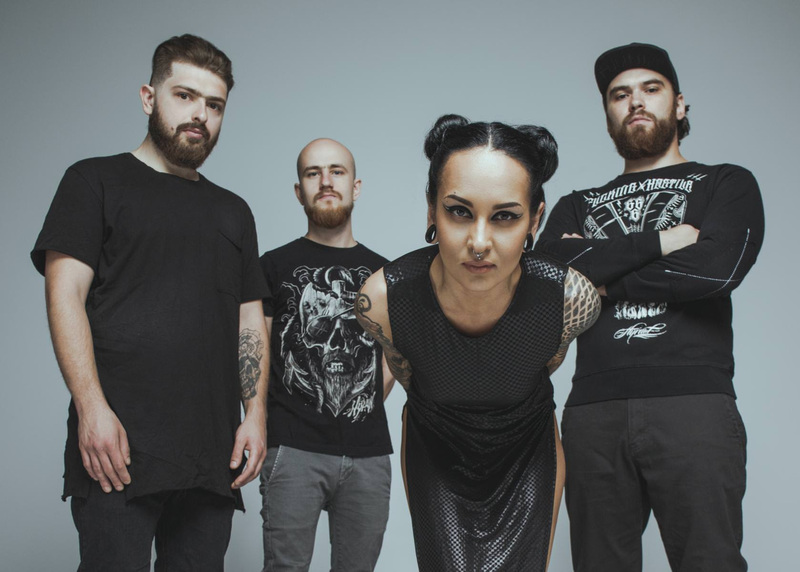 While Jinjer has frequently been erroneously compared to other metal acts such as Arch Enemy, Straight Line Stitch, Iwrestledabearonce, and even In This Moment and Lacuna Coil, they are quick to point out their own influences stem from acts such as Lamb of God, Gojira, Twelve Foot Ninja, Death, Slayer, Pantera, Karnivool, and Killswitch Engage. Shmailyuk’s personal vocal inspirations range from Randy Blythe (Lamb of God) and Otep Shamaya to Mikael Åkerfeldt (Opeth) and Sandra Nasic (Guano Apes). Despite her metal leanings and her deft ability to transition from harsh to beautifully clean vocals, she also admits a passion for other music such as soul, rhythm and blues, funk and jazz. After a near tragedy in 2014 which almost cost the life of former drummer Yevhen Mantulin, Jinjer moved forward, spending much of 2015 touring across Europe. The year would close with the band brokenhearted after original guitarist Dmitriy Oksen announced his retirement from music. Jinjer worked to find a replacement, but ultimately chose to move forward as a four-piece. The making of King of Everything came on the heals of the band’s signing with Napalm Records. The group shared that the recording process was extremely tense and brought the band close to dissolution. Shmailyuk battled her own period of depression which plays out in much of the albums lyrical concepts. Despite these struggles, King of Everything became a critical success among fans and metal press. In the midst of this, Jinjer parted ways with drummer Dmitriy Kim, who was replaced by Vlad Ulasevich. The remainder of 2016 would be spent performing notable festivals and concerts across Europe with more awards to be earned and acknowledgments on year-end “Best of 2016” lists for King of Everything. The following year would be much of the same. They continued to gain major exposure touring with Arch Enemy on the 2017 Will to Power Tour, and in 2018 Jinjer finally made it to North Americas in support of Cradle of Filth and later with DevilDriver. Jinjer also returned to the studio in 2018 to record its latest EP, Micro. The band has already issued three singles from the EP; “Ape,” Dreadful Moments,” and “Perennial.” The EP was released this month, and should tide fans over as they await the quartet’s next full length which they plan to record this Spring. As the band closes out its first decade, the group has already created an indelible mark on extreme music. It has made strides in defining and redefining itself each year, and has delivered concert tours and new music that constantly has press labeling them the “next big thing.” It seems fair to say that Jinjer has undeniably achieved the stature of having “arrived.” Micro is a brilliant and delicious collection of sonic tidbits to whet our collective appetite for what comes next, and Metal Nation is honored to hail Jinjer as our January 2019 Artist of the Month!